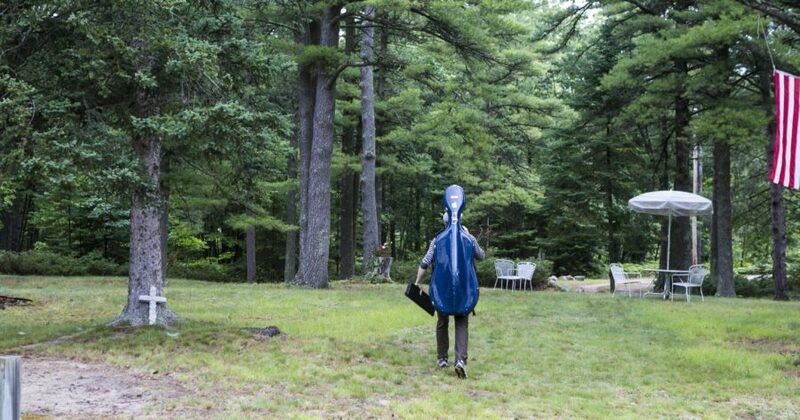 For a magical week each summer, classical musicians from around the state, nation and beyond pilgrimage to Beaver Island for one of America’s unlikeliest concert festivals. Beaver Island resident and MyNorth contributor Wendy Fogg reports on what makes Beaver Island a classical musical mecca for a handful of breezy summer days. This article is featured in the July 2014 issue of Traverse, Northern Michigan’s Magazine. That island is Beaver Island, “America’s Emerald Isle,” and live music has been an important part of its culture since the first Irish settlers arrived with their fiddles, pipes and drums. Celtic tunes and popular music have been played on the beach and on front porches, in the Parish Hall and in pubs since the 1800’s. Today, the Beaver Island Cultural Arts Association builds on that rich musical tradition with the Baroque on Beaver Festival. No, there are no Celtic tunes, but there is a remarkable series of national-quality classical music concerts performed at several island venues over the course of nine days. 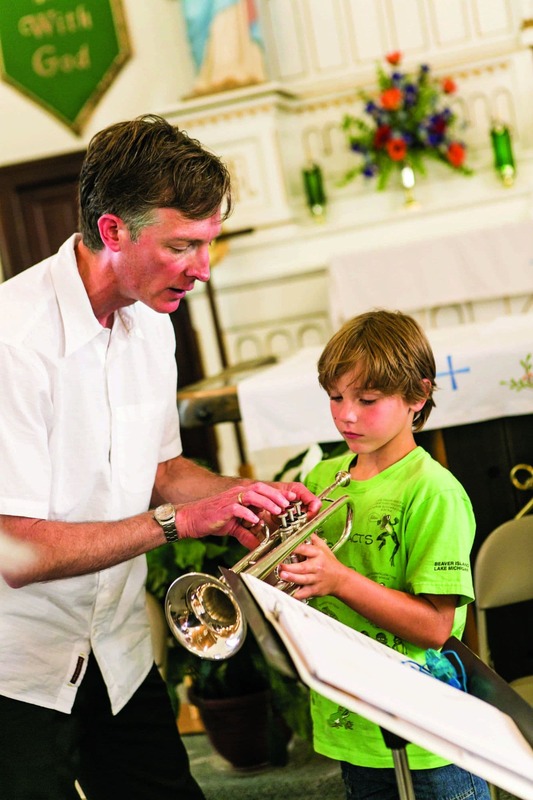 What began in 2002 as a small ensemble gathered in the St. James Episcopal Mission—essentially a log cabin—has evolved into a professional orchestra with chamber chorale and a large community chorus. Musicians come from many of Michigan’s finest orchestras and choral ensembles, from such cities as Detroit, Grand Rapids, Ann Arbor, Traverse City, Lansing, Saginaw and more. 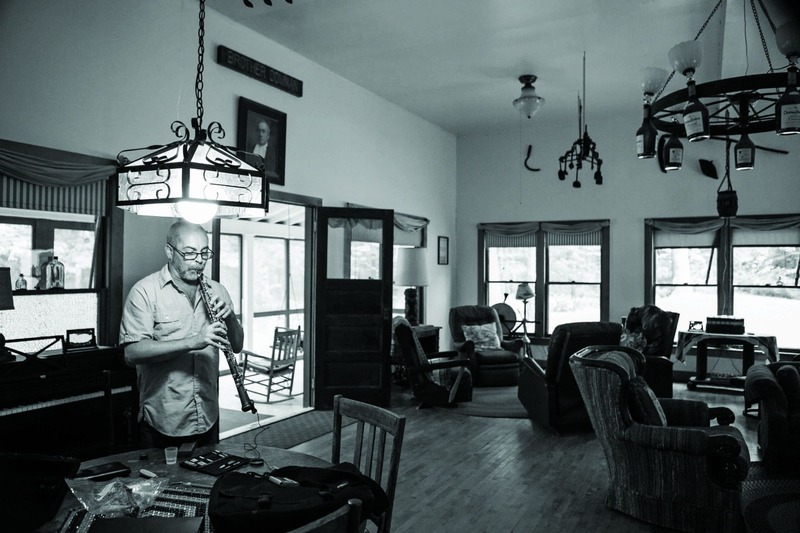 A few musicians travel from other states and even much farther—from Sao Paulo, Brazil, Vancouver, Canada and Puerto Rico—but all performers are connected in some way to Michigan and/or Beaver Island. Festival performances take place throughout the St. James harbor village in locations like the Beaver Island Community Center, Holy Cross Church and Parish Hall, as well as in the wooded setting of CMU’s Biological Station. Plans are in the works to add an outdoor concert venue by the beach this season, allowing the audience to pack picnics and blankets and listen under the stars. A highlight of the 2014 festival is a “Star Spangled Evening” that will be part of a nationwide celebration of our national anthem’s 200th anniversary. For me, the Baroque on Beaver Festival has extra special meaning because I grew up on the East Coast with a father who played for one of the world’s premier symphonies. I can never quite get over the unlikely coincidence of making my home on this beautiful but remote island that is also home to one of the most remarkable classical music festivals in the nation. So, how in the world would someone like me, who grew up in a small town in New Jersey, end up on Beaver Island? It’s a tale that involves a chef, Madonna and a tugboat captain, and it began with a special childhood in a rural town in northwestern New Jersey, near the Delaware Water Gap. As kids, my brother, sister and I built forts, hiked trails in the lush, green woods behind our house and went birding on local Audubon preserves. Our small town was like a secret hideaway for professionals, artists and business commuters who worked in Manhattan. There was a prestigious boarding school in town but also ample rustic charm with farms, one blinking light and a pub called Sparky’s. In spirit, my hometown was a lot closer to Beaver Island than it was to The Sopranos and Jerseylicious. My father, Don Harwood, was bass trombonist for the New York Philharmonic and taught at the Juilliard School of Music. Our youth was divided between backwoods New Jersey and going to concerts, hanging out backstage at Lincoln Center and sometimes meeting our dad on tour. We vacationed with other Philharmonic families and thought it was great to see our dads relaxing and away from the pressures of rehearsals and concerts. Some of my father’s colleagues were like family members who teased us and made us laugh. Little did I know back then that they were world-class musicians who had exceptional careers, or that our childhood was so unusual. We had the small town closeness, with the artistic riches and diversity of New York City right at our fingertips. My dad was and still is an amazing, devoted father, yet it took some time to realize just how special his career and my upbringing really were. My involvement in the Baroque on Beaver festival has been even more meaningful because of the cherished experiences of my early years. Fast forward a few years to the chef I mentioned. My sister Deborah was recruited to be executive chef at a luxury bed & breakfast called Deerwood Lodge on Beaver Island, and I came out to the island to work with her in 2003. That summer Deerwood had two special guests, Madonna and her then-husband Guy Ritchie. The same day we were entertaining the Hollywood elite, Jon and Sally Fogg, then-owners of Deerwood, introduced me to their son, Matthew, a Great Lakes tugboat captain. I never left after meeting such a great guy, and embraced life on an island in the middle of the lake as an extraordinary treasure. When asked to join the board of the Beaver Island Cultural Arts Association, I was very excited to work with the people who volunteer their time and energy for the Baroque on Beaver Festival. My husband and I, like the entire community, are involved in many ways. 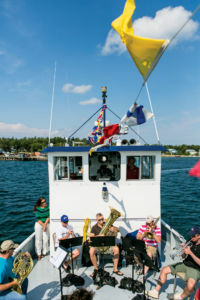 Dozens of people greet the ferry and help unload tubas and stand-up basses and kettle drums and untold amounts of other instruments and gear when the musicians arrive. Islanders graciously open their hearts and homes each year to the performers. Many volunteers prepare and serve a “Welcome to Our Island” dinner, while others sponsor concerts, move choral risers, put up posters and sing in the choruses. Each season of Baroque on Beaver brings new surprises and experiences. 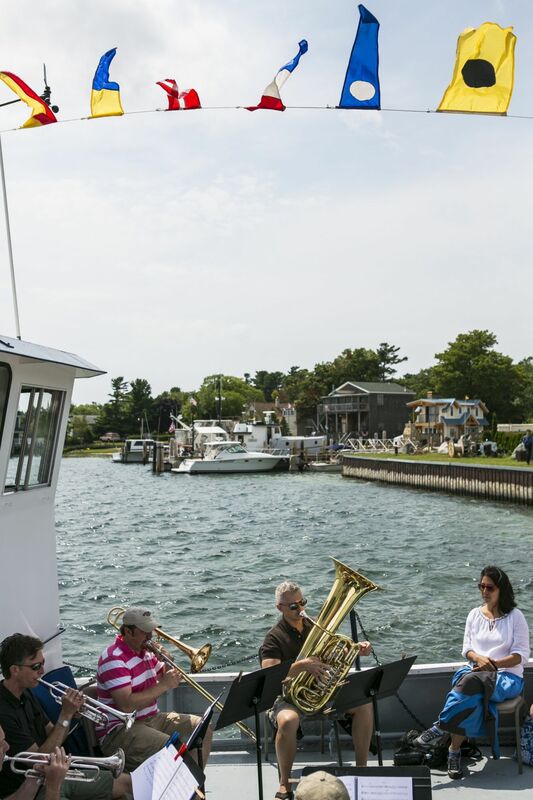 Last summer, my husband, Matt, and I, who own and operate our tug and barge business, St. James Marine Co. & Fogg Towing, invited the Beaver Island Brass Quintet to perform on one of our tugs, the 1922 American Girl—an unorthodox stage, to be sure. They played old show tunes and swingtime pieces from the 1940s, while dozens of people gathered at the dock, and melodies drifted across the harbor. We pulled away from the dock to greet the Emerald Isle ferry, which was crowded with visitors and tourists coming to the festival. Sam Griggs, the principal tuba player, commented, “Playing an instrument in the open air and sunlight while cruising around Lake Michigan is an experience that tuba players don’t often get to enjoy. The passengers were very appreciative and even sang along at times. It was like being the band on the Titanic, but with a happy ending.” Another “brass on a tugboat” performance is planned this summer on our larger tug, the Wendy Anne. During the festival week, impromptu “pop-up” concerts happen all over town and everybody—islanders and visitors alike—love them. “You can be enjoying a sandwich on the deck at the Shamrock Bar or the porch of Dalwhinnie’s deli, and a group of musicians will show up and serenade you,” said a visitor. Concerts feature a wide range of music and composers. Pieces by Bach, Hayden and Mozart are contrasted with work of contemporary composers like Elgar and Copland, whose music was inspired by the Baroque era. The Beaver Island Cultural Arts Association offers the concerts free to the public and depends on sponsors and free-will donations to keep it that way. Concertgoers love the magic each performance brings just steps from the beach. That magic is directed by Baroque’s principal conductor Robert Nordling, who has conducted nationally and internationally. “The Baroque on Beaver Island Music Festival is a harmonic convergence of beautiful things. To be able to perform with an orchestra of this quality, comprised of players from Michigan’s greatest orchestras and educational institutions is a rare treat. 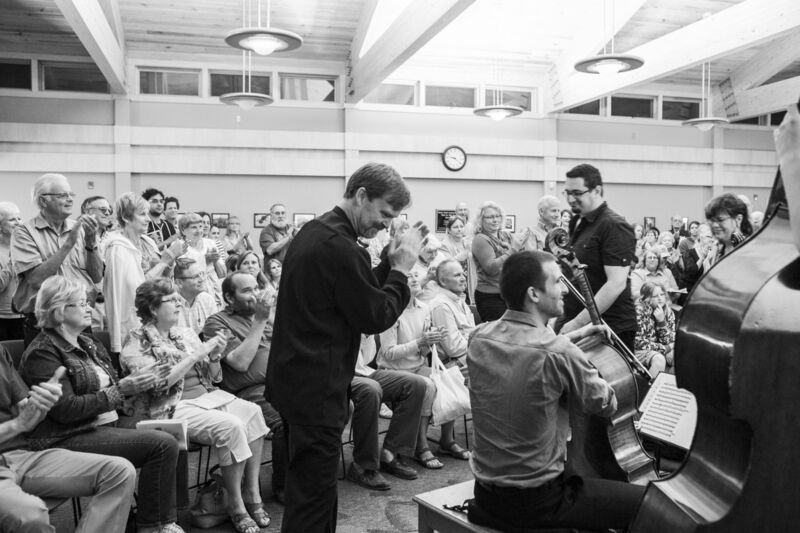 To be able to play for enthusiastic audiences that pack the concert halls—and even set up chairs outside to listen through the windows!—is a genuine gift. And, to experience all of this in such a spectacular setting is truly amazing. We are blessed to be part of this symphony of beauty,” Nordling says. Maestro Nordling often gives brief, enlightening descriptions before each piece is performed, offering curious tidbits and insights into the composer’s intentions. One of Beaver Island’s own is internationally renowned soprano opera singer Martha Guth. She has a family cottage on the island, is one of the festival founders, and sings at the fest when her busy schedule allows. “Coming back to the island feels like coming home,” she says. “The musicians really are leaders in their field, and it is a privilege to be performing with them.” Her equally talented husband, Ricardo Lugo, is a bass soloist who sings with the Metropolitan Opera and also stars in Baroque on Beaver concerts. He adds, “My favorite thing in these performances is to watch the faces of the people in the crowd, because they are so appreciative of the music, and their faces come alive so vividly.” Martha and Ricardo will be featured in Haydn’s Lord Nelson Mass on Friday, August 1, 2014. Despite the caliber of talent gathered for the festival, Beaver Island still holds true to its casual lifestyle and genuine, friendly nature. 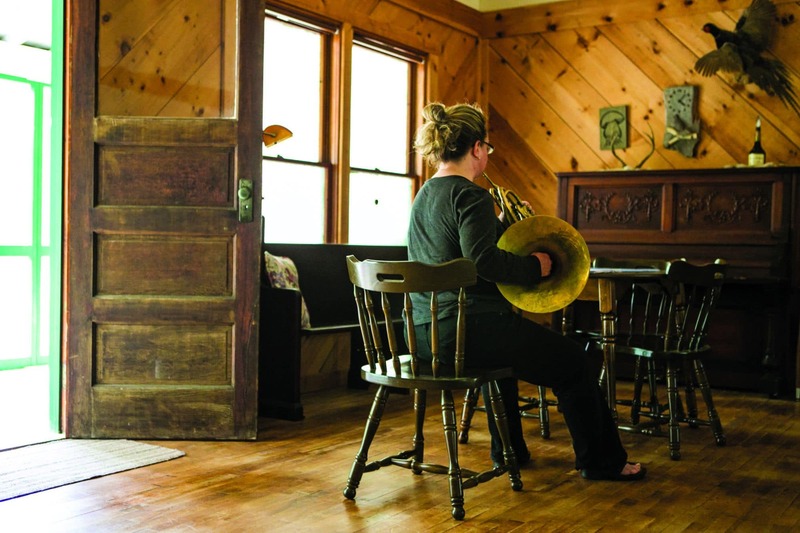 Lisa Honeycutt, one of the principal horn players, comments on how Islanders have become friends and family. “Part of the charm of the island is not only its natural beauty, but the authentic personalities that make up the community. My favorite memory of summers past is losing my wallet! Festival week is packed with rehearsals and performances, so leaving my wallet on the roof of the car heading south on the King’s Highway did not bode well.” In true Beaver Island fashion, the wallet was returned to its owner, contents undisturbed!